Ayrton Senna is arguably one of the greatest Formula 1 drivers ever, and although he is no longer with us his legacy lives on through the many things he did in his lifetime. 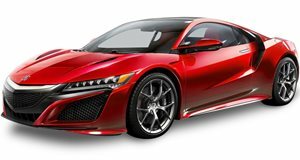 One of his many claims to fame is being a collaborator on the development of the Acura/Honda NSX, something not known by non-gearhead types but used in bar room conversations by Honda fanatics the world over. , two kept in Portugal and one in his hometown of Brazil.